For years, Brian Greer has been a vocal critic of the sheriff’s investigation into the murder of his father, Jerry Greer. He has accused SLO County Sheriff’s detectives of failing to secure evidence at the scene. On Aug. 16, detectives interviewed Brian Greer for two and a half hours. Ten deputies then searched his home while having him stand in his driveway in 100 degree heat for five hours, Brian Greer said. In a press release, deputies listed Brian Greer as a person of interest in his father’s death. “They are trying to convict me in the court of public opinion,” Brian Greer said. On March 28, 2009, Jerry Greer was sleeping in his Templeton home when bullets tore through his head, neck and shoulder, killing him instantly, according to the death certificate. The slaying has remained unsolved. Jerry Greer was a well-known and popular man in the community, and his mysterious murder rattled people in Templeton and surrounding areas for months afterwards. Some asserted Brian Greer killed his father, while others claimed either teenagers or a local drug addict searching for cash Jerry Greer allegedly kept in his home committed the murder. Jerry Greer’s murder has further divided the Greer family, who have been somewhat estranged since Barbara Edwards divorced Jerry Greer in 1970. Following the divorce, Jerry Greer’s siblings wanted nothing to do with either Edwards or her children, Edwards said. “They pretty much shunned my children after the divorce,” Edwards said. 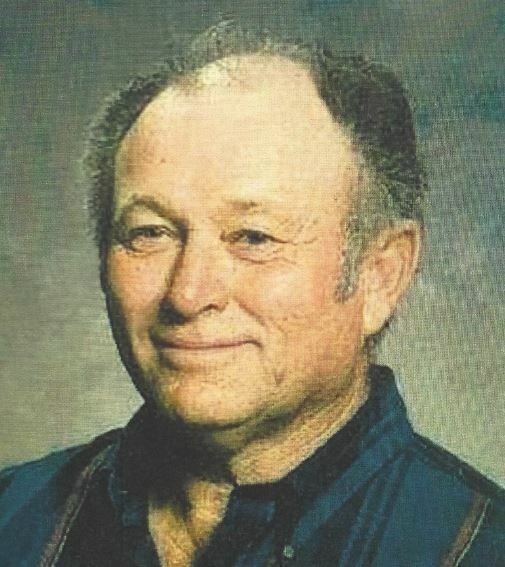 Jerry Greer’s brother, Gene Greer, had discovered his brother’s body after he failed to show up with a tractor part. The front door was locked, the kitchen door standing open. The house appeared undisturbed. At the time of the murder, Brian Greer was a sergeant at Soledad State Prison, he has since retired as a lieutenant. Though the body was first discovered on a Sunday, sheriff’s officials did not notify Jerry Greer’s son or daughter of the death. Brian Greer said he heard about the slaying when a coworker sent him a text the following Monday. By then, he said, investigators had already completed their forensic examination of the murder scene, and had turned the house over to Gene Greer, the night before. However, Jerry Greer’s will, which deputies discovered at the house, listed his children as the only beneficiaries. For several years following the murder, Brian Greer ran ads on Craigslist, repeating circumstances of the death and asking the public for assistance. Brian Greer said he turned over a lead in the case, but later discovered it took weeks for detectives to follow up on the lead. In 2012, the sheriff’s department assigned a new lead investigator to the case, who took a team of detectives out to Brian Greer’s home and interviewed him. Family members are critical of the sheriff’s department investigation. “Every time they turn this over to a new detective, they start with the interviews and lie detectors tests,” Edwards said. During the latest investigation, detectives have detained and interviewed Brian Greer’s mother, sister and ex wife asking several questions about family finances. The year before Jerry Greer was killed, Brian Greer went through a divorce and was furloughed at work. At the time, his mother, who said she had assets of about $1 million, lent her son money on several occasions, which appears to be the focus of the latest investigation, several sources said. “How many people lost their home in the housing market crash or went through a divorce, that does not make you a murderer,” Brian Greer said. The sheriff’s department is asking anyone who has worked with Brian Greer or who has information about the murder to contact detectives.